If you've recently celebrated a milestone birthday, you may be wondering what the secret behind the best diet for weight loss in your 30s? It's no mystery that age affects our bodies, especially in terms of seeking newly required supplements like vitamins, nutrients, and other necessities to keep it functioning optimally as time passes. Many of these bodily alterations (hormonal, physical, and the like) rely on a healthy lifestyle to keep the natural changes from impacting us negatively. At the forefront of this is maintaining a healthy diet and weight. It's obvious that the same habits and routines (minimal exercise and overindulgence) that went unnoticed (or had little consequence) in our 20s can show a newfound vengeance as we move on to the next decade. Since this seems to be most apparent with the leap from the late 20s to 30s, we've decided to explore the requirements of a healthy diet for weight loss with that specific transition in mind. And who better to consult than dietician, Lisa Hayim, MS, RD, founder of The Well Necessities & TWN Collection, to share all of the relevant information and advice you need to know on the topic? Find our extremely informative and candid conversation with Lisa below, and be sure to take note of her insightful tips below for starting, managing, and sticking to the best diet for weight loss for women 30 and older. Preparation is key for anyone trying to lose weight. If it's your first time, be aware that biggest "mistakes" occur when situations are out of our control. Meal planning, batch cooking, keeping snacks on hand, and learning a bit about the science of nutrition can all be helpful tools to help you stay on track, says Hayim. Food logs are also a critical component. In 2008, The American Journal of Preventive Medicine released the results of a relatively large trial, in which, for six months, participants kept food diaries and were encouraged to eat a healthier diet coupled with exercise. After only six months, the participants shed an average of 13 pounds. According to the study, the most powerful predictor was how many days the participants kept a food diary. Those who kept a food log for six days of the week lost about twice as much as those who kept it for one, she adds. Food records are key for a few important reasons: They hold you accountable for your actions; anything consumed, must be written down. Therefore, they increase awareness. There is no such thing as "a couple of chips" when you have to jot down an exact number in your log. There is increased awareness around each food-related decision, as well as increased understanding as to the reasons behind the choices you're making. If you're working with a registered dietitian, the food log can help him/her get a full understanding of your habits and provide feedback on how changes can be made. The dietician says she keeps a running list of "accomplishments" for her clients. On days they don't feel motivated or want to give up, she shows them this list and reminds them of all the positive changes they have made and successes they have had. She encourages anyone trying to lose weight to keep a journal themselves and mark down accomplishments as they go. There will be defeating days and weeks, but reflecting on your list is a great way to keep yourself inspired/motivated. The expert adds that while there is no one specific diet to follow, there are certain foods and concepts that will help someone in this stage of life shed the pounds. Focus on water-dense foods: Tomatoes, watermelon, iceberg lettuce, grapefruit, and mushrooms are not just nutritious and rich in vitamins, but they are also satisfying and hydrating, filling you up without bringing a lot of calories to the table. Snack on raw and crunchy: Broccoli, celery, cabbage, peppers, and cucumbers, which are great one-ingredient snacks to keep on hand. Skip the fried chips and grab a handful of these crunchy veggies, which are low in calories and high in fiber. When we chew, we notify our brain to send a signal to our stomachs that food is coming. Once this process begins, we are closer to reaching the feeling of being full. Eating foods that take longer to chew ensures that we are more aware of our satiety cues, and slows down the number of calories we consume in total. Lean protein: Protein should be consumed at every meal. Women in their 30s need to eat enough protein to promote muscle-protein synthesis, which is what we need for the growth and repair of skeletal muscle. Protein also helps with satiety, keeping us full for longer. Start adding foods like eggs, chicken breast, beans, greek yogurt, or even plant-based protein powder into each meal. Remove added sugars: Added sugars have no beneficial role for anyone of any age, but they are particularly of no help for those in their 30s trying to lose weight. Added sugars bring in calories, without extra nutrients. Learning how to read labels and scan for added sugars is key for choosing healthy foods. Avoid any foods sweetened with seemingly innocuous ingredients like cane sugar, agave, honey, or brown rice syrup. Calcium-rich foods: This is the prime age to prepare for what will occur with menopause when the ovaries stop producing estrogen. Women begin losing bone density in their 30s and can lose up to 20% of their bone density within the years after menopause. The best way to prevent this is to enter menopause with sufficient bone density to minimize the losses that will inevitably occur. While a supplement may be needed later in life, a food-first approach is recommended. Turning to foods rich in calcium like spinach, milk, kale, sardines, almonds, yogurt, broccoli, and watercress are all great options. Hayim says, the 30s are some of the most stressful years. Managing the stress of juggling a career and children can be demanding. Therefore, women of this age should focus on stress-releasing exercises, like yoga, as well as get at least eight hours of sleep. Sleep deprivation affects our metabolism by slowing it down. Women of this age should focus on getting aerobic activity as well since this group is about to undergo extreme hormonal changes in the next decade. It's best to prepare for your 40s by being the healthiest you can be. Women 30+ are fighting real physiological changes, so dietary and lifestyle modifications must occur. A caloric decrease coupled with increased exercise is a fundamental component to losing weight. Keeping fats (even the healthy fats) at a minimum may also be a helpful tool to keep the calories at bay, she adds. Hayim says she cannot stress exercise enough. With that said, many people struggle to lose weight while increasing exercise for two important reasons. One, being that they are hungrier and eating caloric-rich foods. And two, they may gain muscle and do not understand that the number on the scale is reflective of increased muscle mass, not fat. When working out, be sure to incorporate a balanced mix of cardio, strength training, resistance training, yoga, and even meditation. When eating, be aware of your own personal caloric needs and what is necessary to lose weight. 1. Resting metabolism is slowing down. 2. Women lose muscle mass twice as fast as men at this age. Muscle is more metabolically active compared to fat. This means that the more muscular you are, the more you are able to burn calories at rest compared to someone who holds onto more fat. It's essential to get to the gym and to focus on strength training and not only cardio. When it comes to the diet, the most important thing to remember that this is a long-term change and not a quick fix, she adds. Starvation doesn't work, in fact, it will only lead to decreased muscle mass, which we critically need. Choose foods you love, instead of forcing yourself to eat the "healthy" foods you hate. Lastly, don't beat yourself up. Because this is a lifestyle change, it means that you are entitled to the occasional treat and celebration. The key is just to keep it in moderation by being mindful and staying present. Shop a few of the best products to help you stay motivated and focused on your healthy diet. This post was originally published on December 30, 2016, and has since been updated. 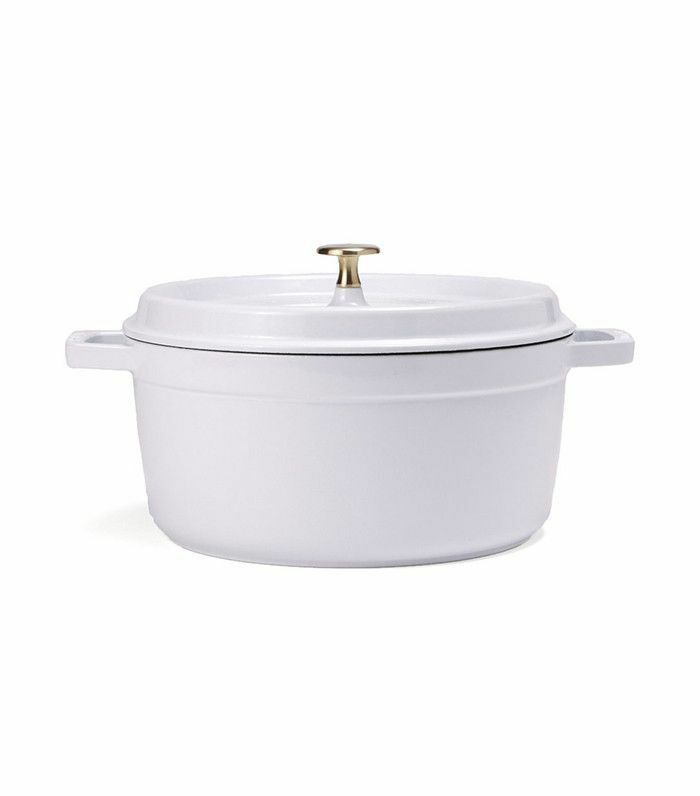 This pretty white pot will make you want to cook for yourself. 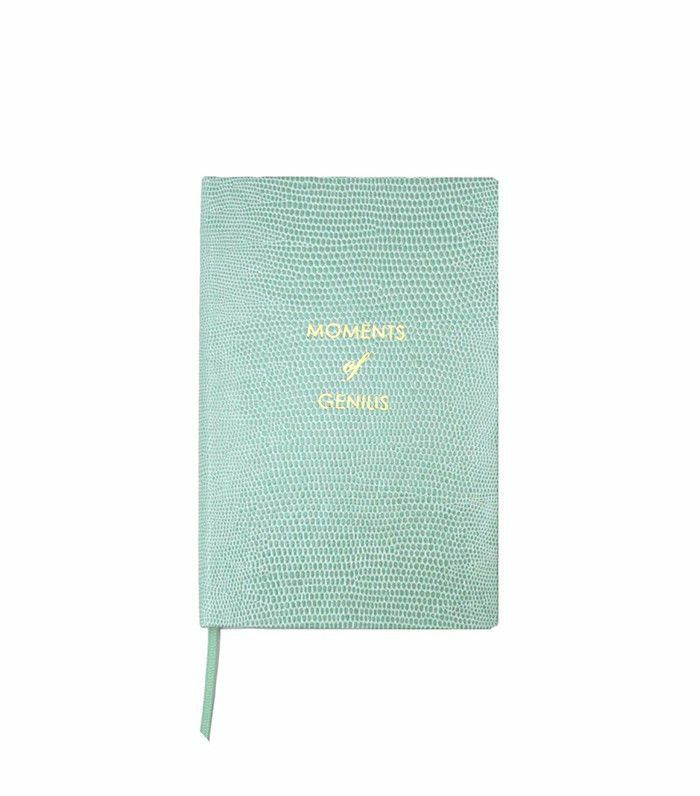 Keeping a cute notebook around to document your intake helps you stay motivated on your diet plan. 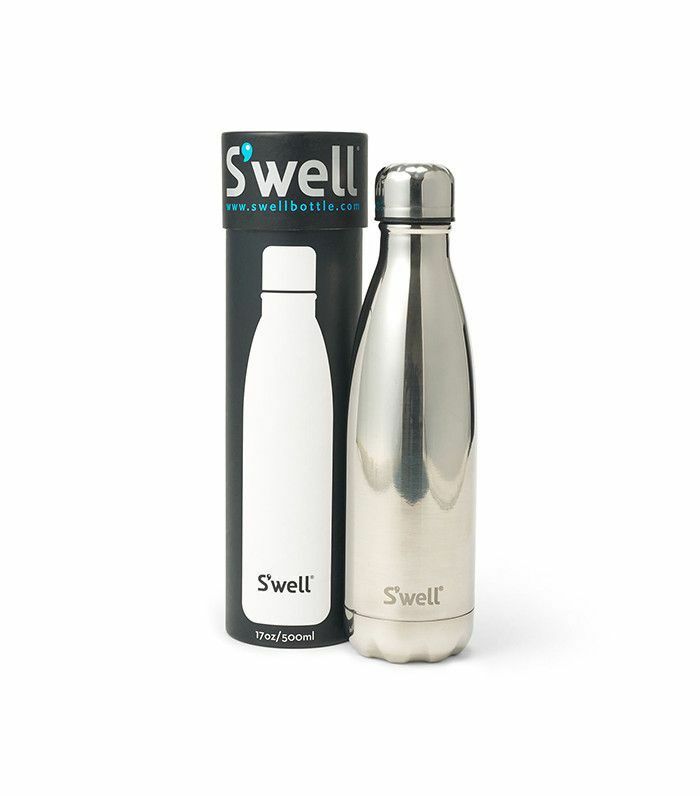 The chic silver design makes staying hydrated more stylish. 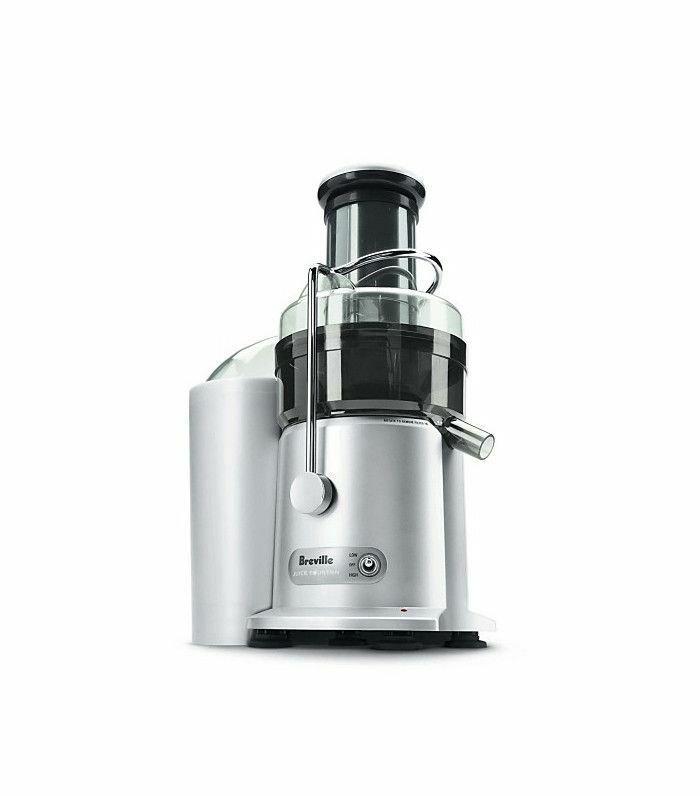 Juicing is one of the best ways to stay healthy while focusing on weight loss at the same time.